Speaking at a press conference today after all charges were dropped against Smollett, Mayor Emanuel reiterated his belief that the alleged hate crime in January was staged by the actor. He said that a grand jury and the State’s Attorney’s office had concluded that Smollett was guilty, and insisted that it was not a case of his word against the police department’s. Meanwhile, Chicago Police Superintendent Eddie Johnson said he doesn’t think justice has been served, and said the city is owed an apology. “I’ve heard that they wanted their day in court, the TV cameras, so America could know the truth, but now they chose to hide behind secrecy and broker a deal to circumvent the judicial system. All charges—which included 16 felony counts—were dropped against Jussie Smollett earlier today after he claimed in January that he had been the victim of a homophobic and racist attack. 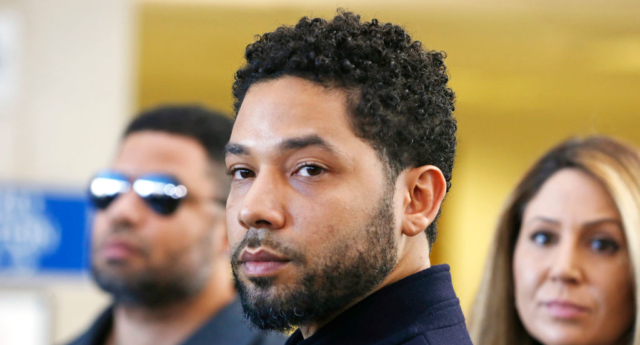 His initial claim led to an outpouring of public support—however, police later accused Smollett of staging the attack to further his own career. In an unscheduled court appearance today (March 26), the state filed a motion to dismiss all charges against him and seal the case. Speaking to the media after the court appearance, Smollett said: “I want to thank my family, my friends, the incredible people of Chicago, and people all over the country and the world who have prayed for me, supported me and shown me so much love.